M.E.C.’s double-ridge corrugated flexible waveguide is either seamless or sideseam. Seamless corrugated flexible waveguide is made by convoluting seamless tubing. 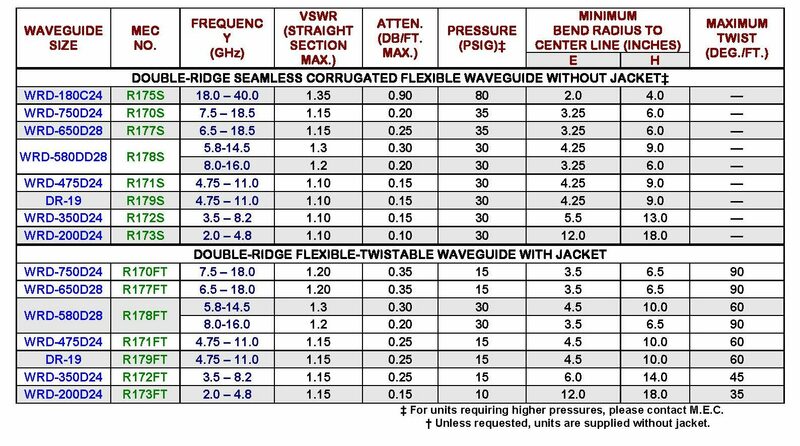 Rectangular waveguide sizes larger than WR-137 are made sideseam. All units are inherently pressure-tight, highly stable, rugged, and have no RF leakage. They bend more than the flexible-twistable types but cannot withstand any twisting. Bends are semi-permanent and small bends radii should be factory formed. Unless requested, units are supplied without jacket or silver plating. 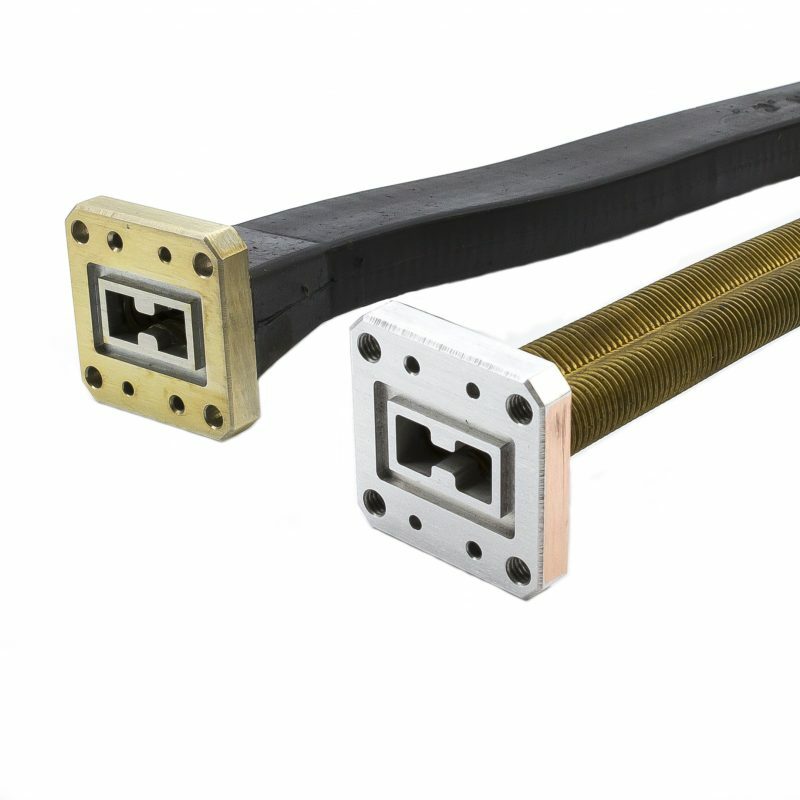 M.E.C.’s double-ridge flexible-twistable waveguide has a convoluted construction type and is precision-wound in accordance with strict design standards, which assure long life under adverse field conditions and excellent electrical performance. Adjacent turns are securely crimp-locked together to form a continuous joint. All units are supplied with a molded jacket of neoprene and are available with M.E.C.’s Flangelok Molding Process, which eliminates flange separation problems under conditions of extreme tension.